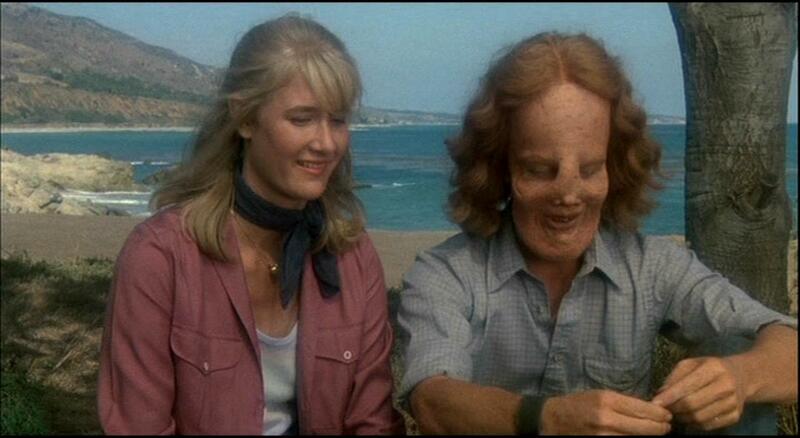 Mask is a 1985 drama written by Anna Hamilton Phelan and directed by Peter Bogdanovich. The story is based on the life of Roy L. “Rocky” Dennis, a teenager who suffered from craniodiaphyseal dysplasia, a rare sclerotic bone disorder that causes calcium deposits to build up in the skull, severely deforming it, disfiguring facial features and reducing life expectancy. 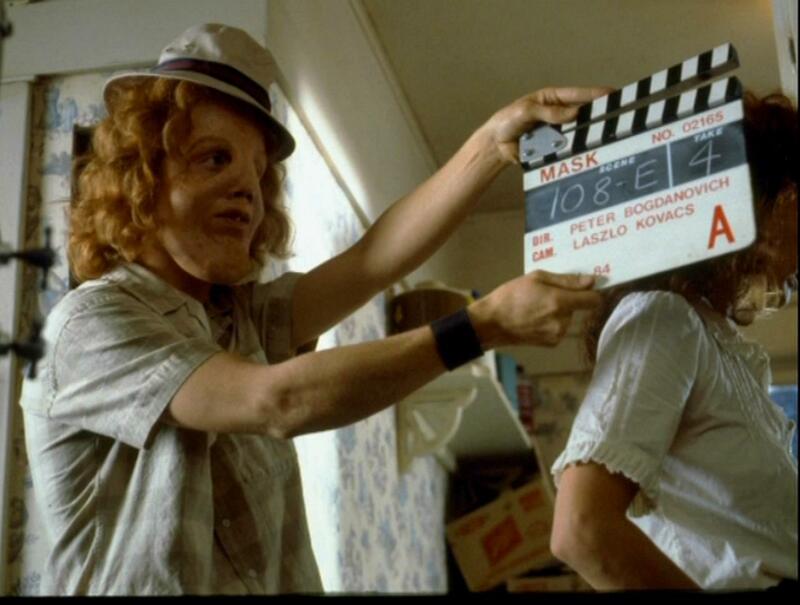 The film was released on DVD in August 1998 and Mask: Director’s Cut came out in 2004. The Director’s Cut DVD has a few additional scenes cut from the theatrical release and several Bruce Springsteen songs originally used for the film, but pulled before release because of a dispute between the studio and the record label. 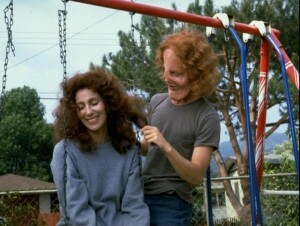 This is the true story of Rocky Dennis (Eric Stoltz), a personable young man suffering from “lionitis,” a fatal disease which causes hideous facial disfigurement. 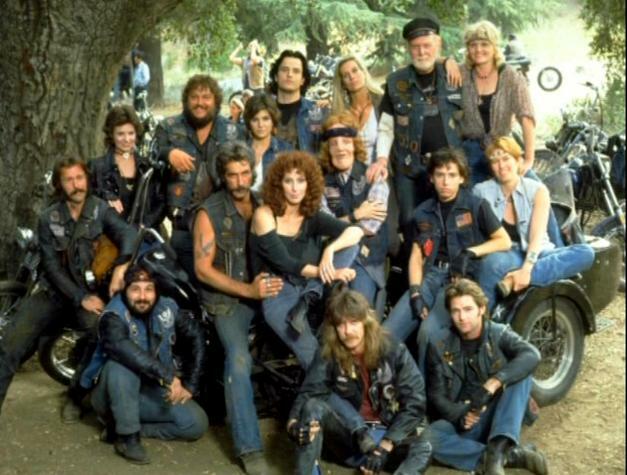 The son of freewheeling biker Rusty Dennis (Cher), Rocky is accepted without question by his mom’s boyfriends and cycle buddies, but treated with pity, condescension, and disgust by much of the outside world. The local high school principal tries to get Rocky classified as brain-damaged so he won’t have to enroll the boy in his school, but Rusty fights for her son’s rights with the ferocity of a mother lioness. Rocky makes friends easily both at school and at summer camp. He also falls in love with Diana (Laura Dern), a blind girl who cannot see his deformed countenance and is entranced by the boy’s kindness and compassion. 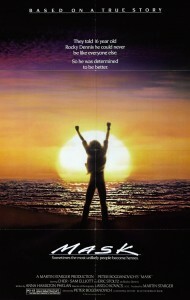 Now that he’s got his own life in order, Rocky sets about to wean his chronically depressed mother from her drug habit. 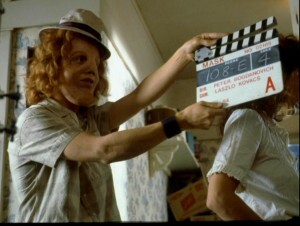 Mask: Director’s Cut gives us a chance to revisit a film that hasn’t aged a bit, very unusual for a piece of cinema originating from a period that’s very spotty in terms of movies holding up. Touching without being manipulative, it benefits from wonderful scripting, Bogdanovich’s excellent direction and an amazing cast, not the least of which is due to Cher and Eric Stoltz, whose effortless chemistry pays off with one of the most believable mother/son relationships ever showcased on celluloid; in fact, she’s at least as good as here as her Oscar-winning work in Moonstruck and celebrated turns in Silkwood and Suspect; she truly becomes that tough-talking motorcycle mama like she was born to portray her. And rather than just simply sitting behind Michael Westmore’s Oscar-winning make-up and letting it do all the work, Stoltz literally pours his heart and soul into a performance that can be defined in one word: Unforgettable. Extras Review: Those expecting a wealth of extras are bound to be disappointed at what appears to be very slight bonuses noted on the back. But director Bogdanovich is an excellent, though very laid back raconteur who’s rarely at a loss for words on both the commentary track and accompanying featurette. 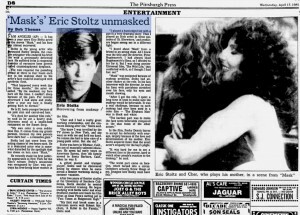 Exterior shooting details, recollections on virtually every actor, what was scripted and ad-libbed, the key moment that made Eric Stoltz the front-runner out of a crowd of over 200 gunning for the lead during auditions, and more; definitely one of the most enlightening talk tracks I’ve heard in recent memory. 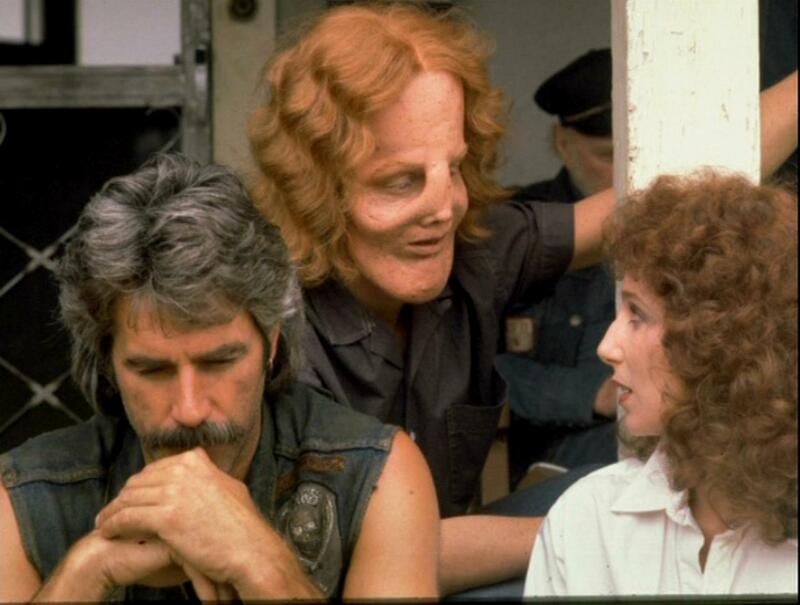 Although the director repeats many of the more memorable stories on the accompanying Mask Revealed interview, such moments are made more bearable by the inclusion of many behind-the-scenes photographs and rare audition footage featuring Cher. Those lamenting the apparently missing-in-action participation by the actress will be pleasantly surprised thanks to an unbilled interview that follows the film. Taken from a Maury Povich talk show appearance, Cher recalls meeting Rocky’s real-life mother and how it, in turn, led to her attending a camp gathering of children with conditions similar to Rocky, which emotionally moved the singer to take up their cause (which you can read more about at www.CCAkids.com) Though brief, the five-minute hidden bonus truly brings home the courage that children affected by craniofacial problems display. Or, as the Grammy-winning performer surmises, “You don’t know brave until you meet these kids”. As a Bruce Springsteen fan, I’m pleased to see the Boss’s songs (including “Badlands,” “Thunder Road,” and “Born in the U.S.A.”) added back into the film. 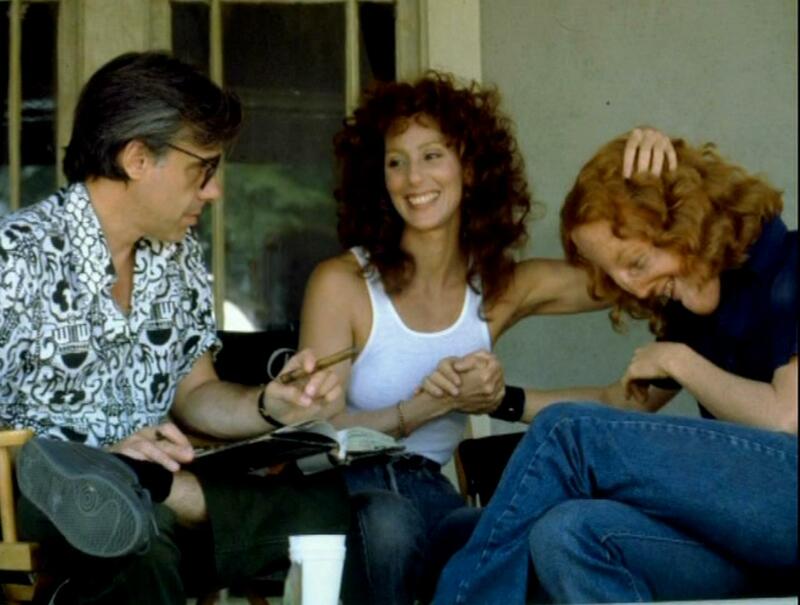 According to director Peter Bogdanovich, a squabble between Universal and MCA on videocassette royalties was part of the reason that Springsteen’s songs were nixed from the film. The tunes sound even better in the nice selection of audio options we’re given, which include full 5.1 surround in both Dolby Digital and DTS. As expected with this type of film, there’s not a lot of rear channel action, but home theater enthusiasts will find Harleys rumbling across the room in several scenes. Director Peter Bogdanovich’s commentary track was one of the more enjoyable I’ve listened to in recent memory. There’s the standard stuff you expect from a director commentary: details of where scenes were shot (on location versus stage sets), his history and relationships with the cast and crew, why scenes were framed or cut a particular way, and highlighting scenes or actions that were improvised, ad-libbed, or acted with dialogue written directly on the set just prior to shooting (Gar’s argument with Rusty shortly after her parents arrive is an example of such a scene). Bogdanovich also drops nuggets like his personal homages to friends by having certain Universal films playing on television sets (I totally missed Boris Karloff’s Frankenstein playing on the television during the biker Halloween party) and Stoltz’s 15 pound weight loss resulting from the fact that he could only “drink” his meals. Bogdanovich’s memory is rarely foggy as he recounts his association with the film, and there are few dead spots of silence during his commentary.